Unlike traditional organizational chart structure, human resources matrix org chart has no direct boss at the top level but has several different projects happening at the same time for employees to report to different managers. Now, let’s find out more about the matrix type. Also, you may want to learn more about using a matrix org chart with more matrix org chart templates and examples. Human Resources Matrix Org Chart – What Is It About? Human resources matrix organizational charts have a chain of commands on each assignment-based level, encouraging team members to work cross-functionally to finish projects. Flexible changes can also be made when priorities shift in matrix organizational structure. 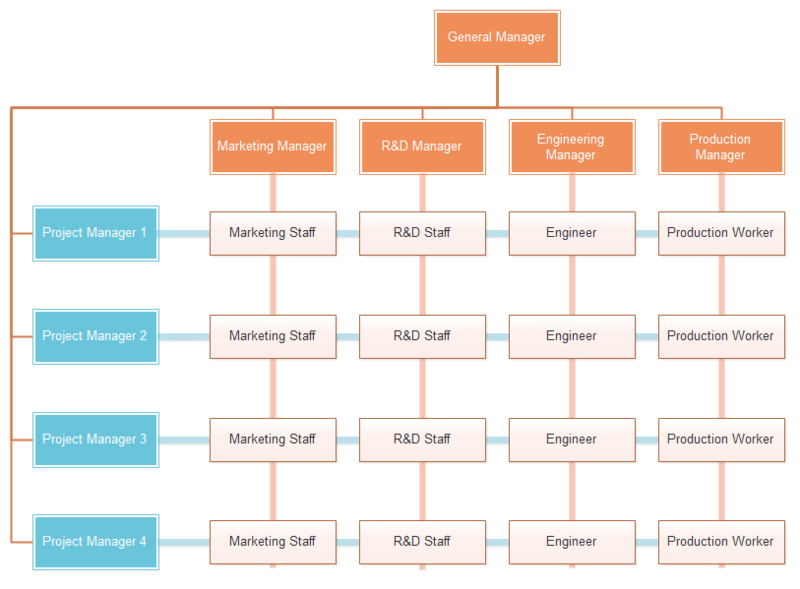 Here is an example of human resources matrix org chart: In reality, for a software development, different staffs from functional departments (e.g. UI design, Java, testers etc.) may report and be assigned by different projects, such as a mobile application or online versions. 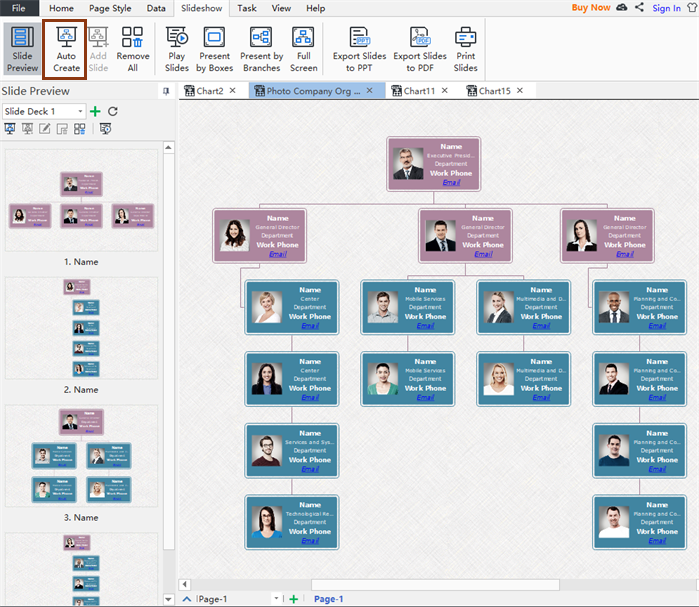 If you are looking for a good PowerPoint organogram alternative with more professional human resource management options, you may try the one as introduced in this article. Worrying about inconvenient to present your slides? Just see below the Microsoft-product-style user interface of the built-in Slideshow function, which is similar to PowerPoint. You can one-click to auto-create a series of slides based on your current org chart to freely traverse between shapes in full screen by using keyboard shortcuts. Organizational charts are quite useful for displaying specific organizational structure and building departments. You can do so by using Microsoft Word, or some other more professional alternatives. This guide will show you how to create a simple org chart in Word and one of its alternatives, the easy org charting software. 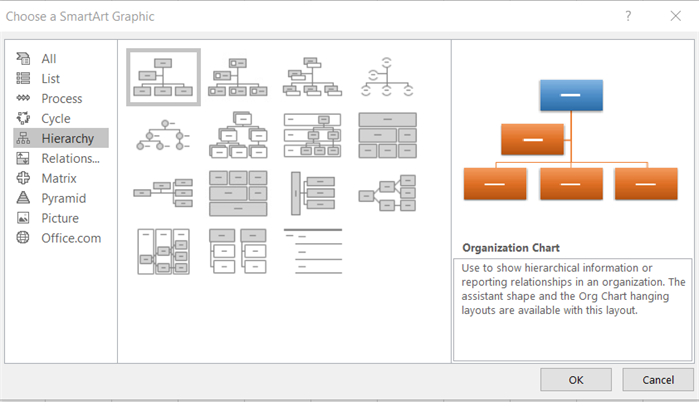 Create an org chart in PowerPoint seems to be convenient for the majority of users, but you can enjoy more features with some other easy org charting software. 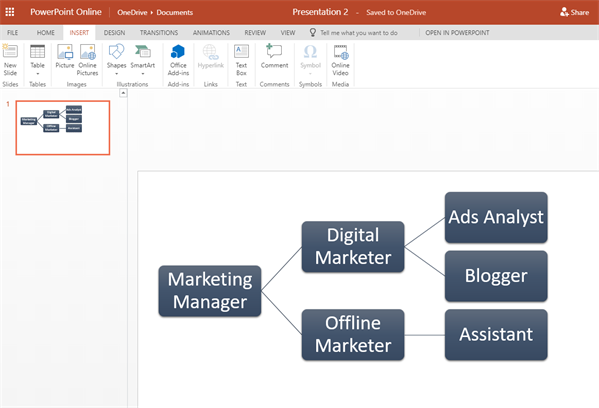 This guide will show you the overall process to make an organizational chart in PowerPoint and one of its great alternatives. Why We Need Different Types of Organizational Structure? There may many answers to the question of how to successfully promote a brand, but effective types of organizational structure are the very basic determinants of such successes. A company with a well-structured framework would have a higher level of clarity and focus in terms of leadership, teamwork, and authority. 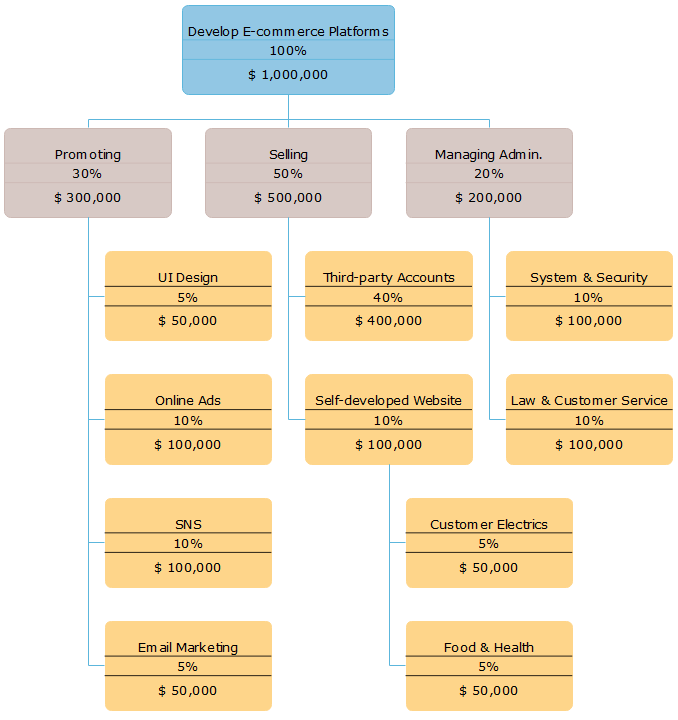 In reality, every business organization from a startup to the international enterprise has a specific organizational structure, but all of such types of organizational structure can be summarized as the following main formal categories. Each of them has both benefits and drawbacks, and may only work at sometimes depending on your company goals, organizational culture, salary structure and so on. This type is also known as the bureaucratic organizational structure, which is mainly based on the specialty such as sales, finance, marketing teams and more. Each division has a manager or leader who oversees the overall department. Organization charts are great to illustrate your business reporting relationships. An easy and professional org chart creator would be your good assistant to create an organization chart quickly and nicely. This guide will show you how to achieve such a goal. It is the very first step and quite easy to do so. Simply click on any of the icons to add a manager, colleagues, subordinates or assistants. Alternatively, you can insert shapes based on keyboard short-cuts. Once done, you can further adjust the width and length of the overall org chart, set suitable layout types for one of the sub-departments, or go to the Optimize Layout to one-click set for the whole org chart. Organizational charts as a productive way of showing well-structured enterprises may also be used in public sectors: healthcare institutions, urban infrastructure departments, academic organizations or other non-profit agencies. Here we gonna see the top 5 organizational chart templates for the uses in public sectors. Feel free to click any of them to see more details. This template here shows a general structure of the public hospital with a series of key departments: the therapeutic service center, the diagnostic service center, the nursing center, the facilities center and the clinical center etc.